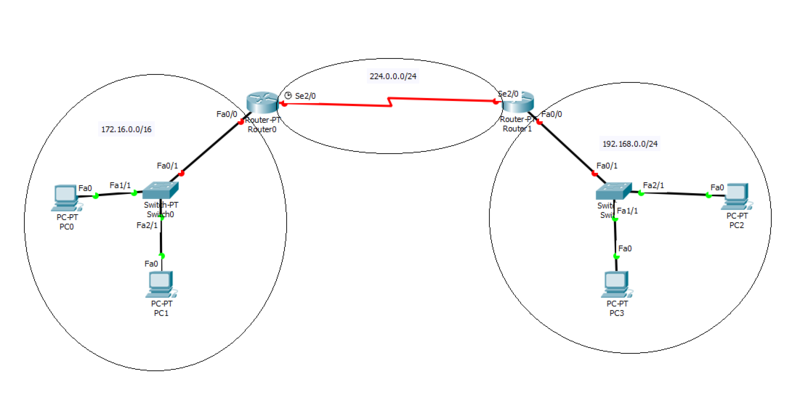 Network between 2 routers - is it LAN or MAN or WAN? We have two interfaces on two routers, which are connected with a serial cable. Both of the interfaces are in network 224.0.0.0/24. So one interface on the first router has IP address 224.0.0.1/24. Other interface on second router has IP address 224.0.0.2/24. Both routers are then connected to indenpendent switches. Our teacher at school was referring to it as WAN connection. But I am not sure, since WAN connections are much larger with more devices inside. So that's why there is confusion. Cisco learning refers to serial card equipment as WAN cards. That doesn't mean you can't use it locally. But in production environments you would find them connected as wide area network equipment. There isn't really any reason to use these router to router locally because they are extremely slow compared to Ethernet interfaces. Sadly, just like some of the other legacy concepts, (like CSMA/CD) you will need to know how to setup DTE (Data terminal equipment) and DCE (Data communications equipment) for the ICND1/2 & CCNA. The primary difference between DCE and DTE is clocking; DCE can provide it, DTE cannot. A easy way to remember the two for tests is this, DTE = data transmitting equipment. DCE = data clocking equipment. 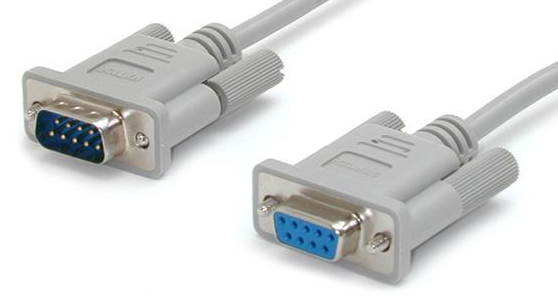 Two routers connected with a serial cable are just that - two routers connected with a serial cable. Local Area Network implies "in the same building"
Metropolitan Area Network implies a larger network - a neighbourhood for example. 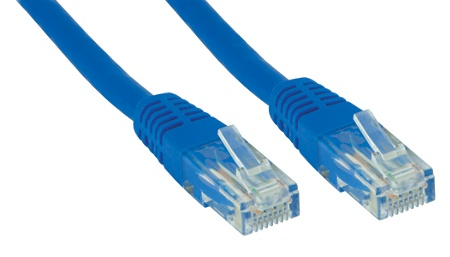 Wide Area Network implies even further afield - for example, "the Internet"
Additionally, a "serial cable" implies RS-232 (possibly RS-422), and isn't really considered to be "networking" within the in modern definition - it's used all over the place for configuration and direct interfacing. In some industries RS-485 is used for point to multi-point networking (with a specific master)... but if you're talking about this, then you're not talking about IP / Routing / X Area Networks. With your addition of a diagram, we can now establish that you probably do indeed mean "network cable". In this case, as mentioned above, the physical / geographic size of the network determines what it is called (LAN / MAN / WAN / etc...). If Network A (172.16.0.0/16) and Network B (192.168.0.0/24) are in the same physical building, then it's probably still referred to as a LAN. Just with two segments that have routing between them. Arguably it could be considered two LANs with routed access to each other. If Network A and Network B are in two separate buildings in the same neighbourhood, then it's possible that it could be considered a MAN. If Network A and Network B are in two separate buildings in two separate cities, then they could be considered a WAN. The whole network is considered for this terminology - not just the link between the routers. It's highly likely that Network A is a LAN, and Network B is a LAN. To offer an alternate explanation: "Teacher at school was referring to it as WAN connection"... he is probably familiar with consumer (home) routers, which mark "the port that connects to the internet" with the label "WAN". 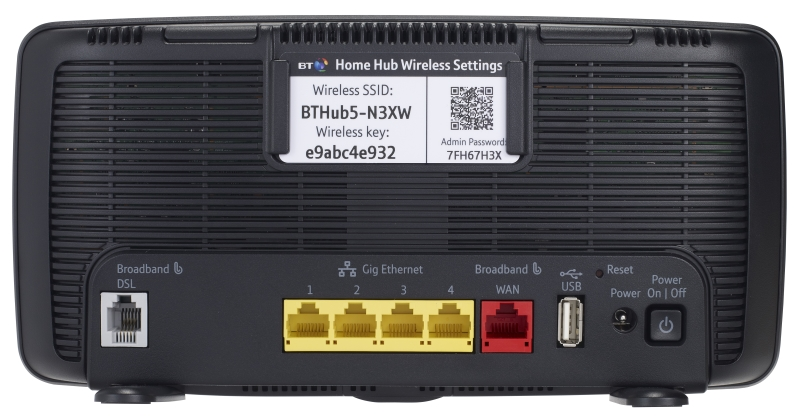 It doesn't mean that the link (and only the link) is a WAN, but rather that the consumer router connects to the WAN (i.e: Internet) via this port. To poke further issues at your question and setup, 224.0.0.0/4 is reserved for multicast addressing. If you are using this for any other purpose, then you may (will) run into odd / unexpected behaviour. Not the answer you're looking for? Browse other questions tagged networking wan serial or ask your own question. 2 WAN to LAN, What router do I need? one lan port connecting to a switch, will the LAN cat type affect the speed? Connecting two routers (lan-wan) and homegroup sharing? How to have network sharing between a lan to wan Firewall Setup?